Let’s get right down to it: Far too many people feel like they are “out of the loop”. What does that term even mean? Well, it depends on who you ask. Some feel like they are not included in social outings, conversations or given the opportunity to build relationships with certain people. Others feel like they are rarely considered when decisions are made, leaving them with the sense of worthlessness. Then you have those who have recently discovered that they thought they were “in the loop” to only find out they have been duped. What is the loop? It’s the people, group, or associations you deem valuable to be a part of. Otherwise, it would not demand your attention, your hurt feelings or your criticism. Depending on the context, “the loop” also has informal membership that rarely gets publicized. Either you are a part of it or you are not. Induction is not official and the way you enter is not public knowledge. We have experienced this on many levels: in the workplace, in friendships/relationships, and even in our families. This extends from Wall Street to Main Street, from your house and yes, even the House of God. 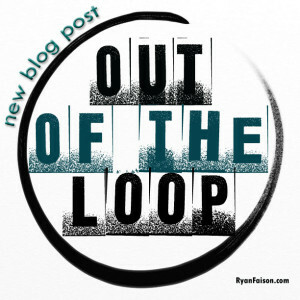 Here’s a question I want to raise and invite you to think about: Why do you want to be “in the loop”? Whatever circle or association you view as important or worthy, what’s the real reason why you want to even be in it? Is it for the closeness? Possibly to access more information or connections? Is it for your own self-esteem? Is it to boast to others that you are in that loop? Checking out your motives reveals your heart and why you are investing so much time in getting in rather than getting to know you. I’ve seen this time and time again, especially in regards to social media. Nowadays, we can communicate subtly like covert operations to reveal or unveil our connections. The photos, the statuses and Instagram videos display who we are close to and where we go. It is a parade of who’s who in various circles to promote one’s worth. Nothing is wrong with posting anything that is appropriate with friends and family. But, the question is still out there — it demands an answer — why are you doing it? 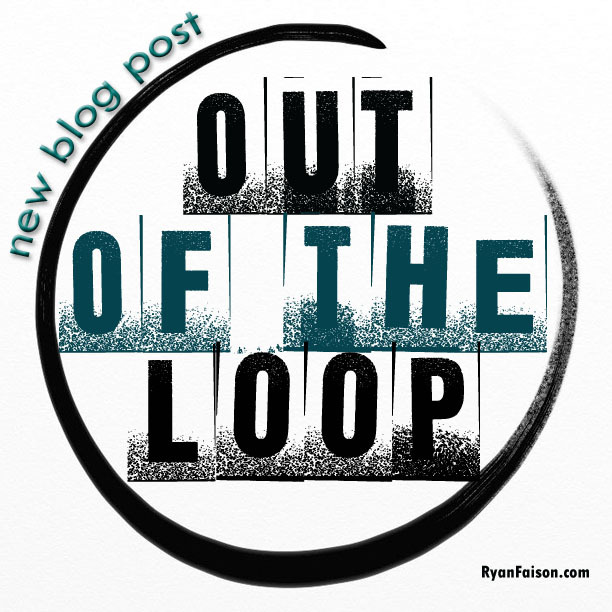 Being “out of the loop” (whatever that loop may be) may be very distressing to you. It may cause you to question who you are. You may wonder: “Why can’t I be a part of that”? or “How did that person make it and I didn’t?” I get it. Allow me to take this opportunity to offer a word of caution: Your energy in trying to be a part of a loop distracts you from being a circle starter! Too many people in loops take an unfortunate pride in limiting who can be a part of “them”. If that’s the case, why would you want to fraternize with anyone who has that attitude? A circle starter finds ways of connecting people through their circle of friends, family, co-workers, neighbors and acquaintances. This circle never ends and allows for people who never had the chance to connect to do so. Several years ago on a Thursday night, our worship team was introduced to a new song by Israel Houghton and New Breed. The song was entitled, “I Am Not Forgotten”. The song’s anthem was soul-stirringly repetitive, coupled with an upbeat tempo to excite even the most casual listener. The lyrics and melody resonated strongly with the worship team that night. Collectively, we were thrilled about the opportunity to minister this song of hope — you are not forgotten. Over the years, I’ve heard songs, listened to passionate sermons, and received timely words of encouragement about God never forgetting or forsaking me. It rings with truth, echoes in my heart and causes “AMENS” to leap from my mouth. You’ve been reaching out to God in prayer but the situation is the same or getting worse. Lord, am I doing something wrong? Lord, did I offend you in any way that would cause a withholding a blessing? Lord, what do you want me to learn in this situation? Lord, are you truly with me because I don’t feel you? I’ve learned (and continue to learn in a great degree) that your feelings need to be filtered through the truth of God’s Word. Your feelings of abandonment or being forgotten by God are real and not to be disregarded. But, it is how we take our feelings and bring them to God in prayer. Learning to respond to the feeling of abandonment biblically sharpens us to see the difference between our flesh and our spirit. Our flesh nature tends to think that because something did not go our way, God must have left us. NOT SO! There are times in my life that I’m glad it did not go the way I thought. WHEW! I have to rest on the truth of God’s Word and not just my feelings in a moment or yes, even a season. We live in a competitive society where the basis of success and prosperity have bled into the stream of Christendom. We look at what others have or what they have achieved and wonder — God, how about me? If you haven’t received or achieved what you wanted in your life (yet), it doesn’t mean it will not happen. But, could it be that God wants you to live your life in the truth that the greatest success you could ever have is being with Him? Take the Word of God to be true for your life right now. Your feelings may be in a battle to believe this truth — but here’s the truth: God knows the plans He has for you (Jeremiah 29:11). And His plan never includes forgetting you, forsaking you or abandoning you for another.